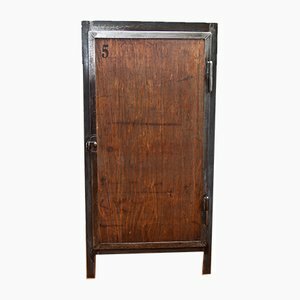 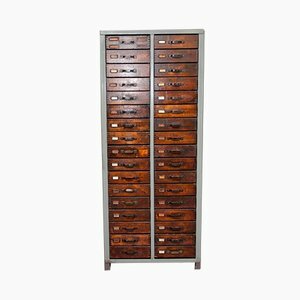 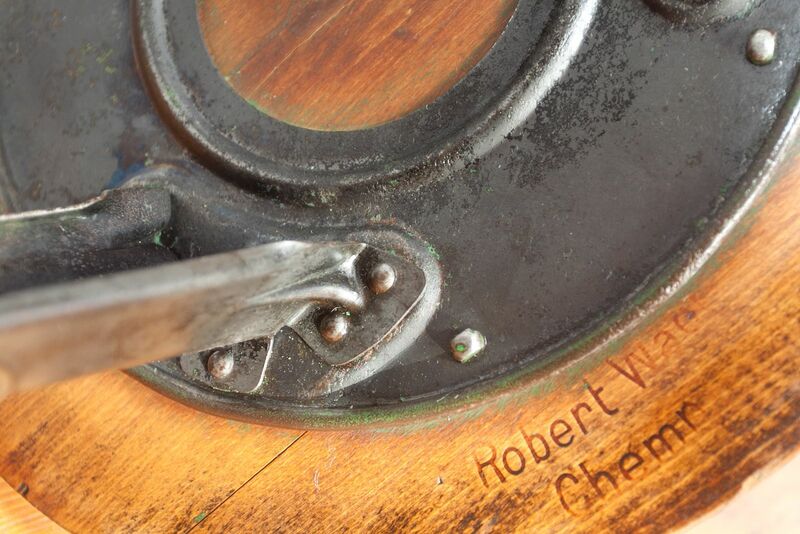 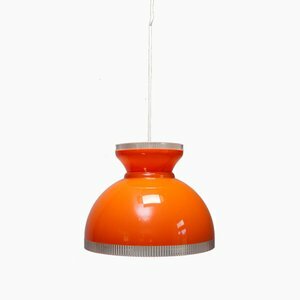 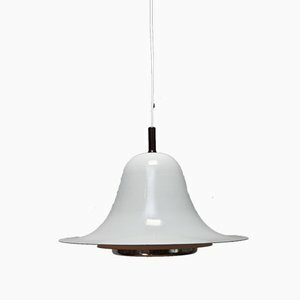 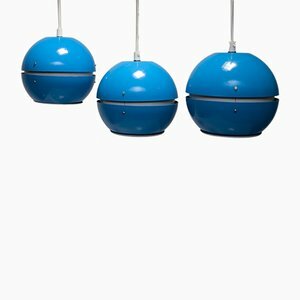 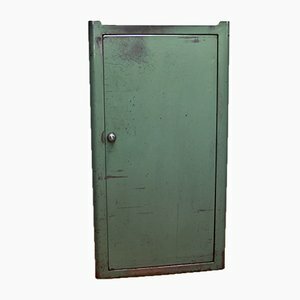 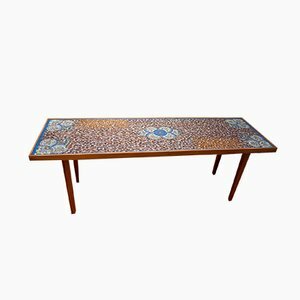 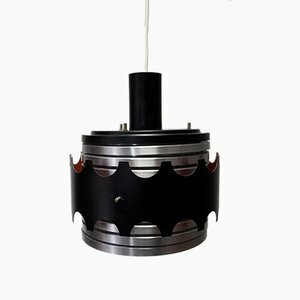 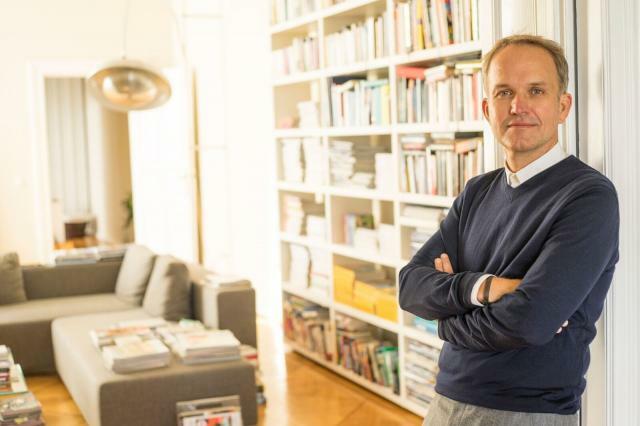 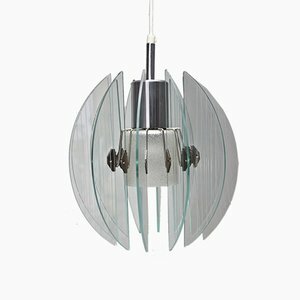 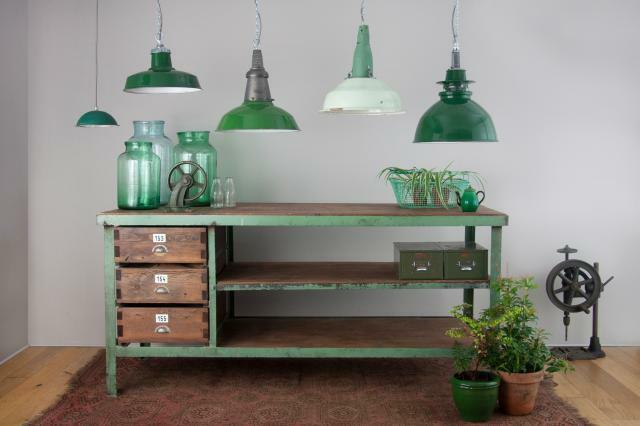 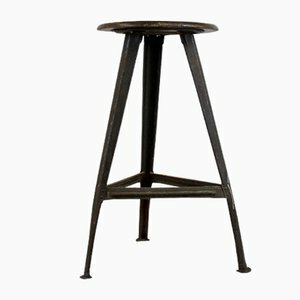 Associated with industrial style furniture, Rowac is among a number of German manufacturers active in the first half of the 20th century whose products are known by the producer’s name rather than that of the designer. 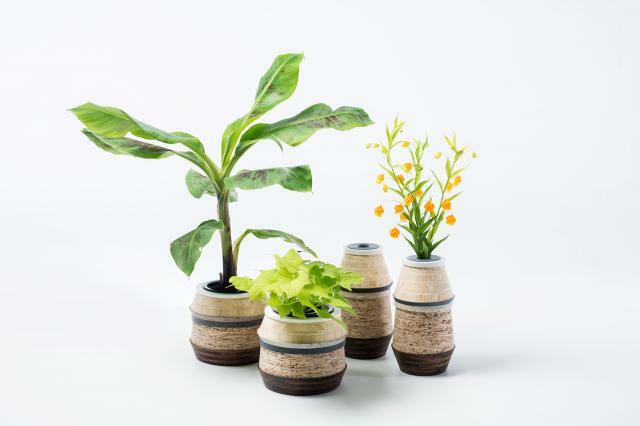 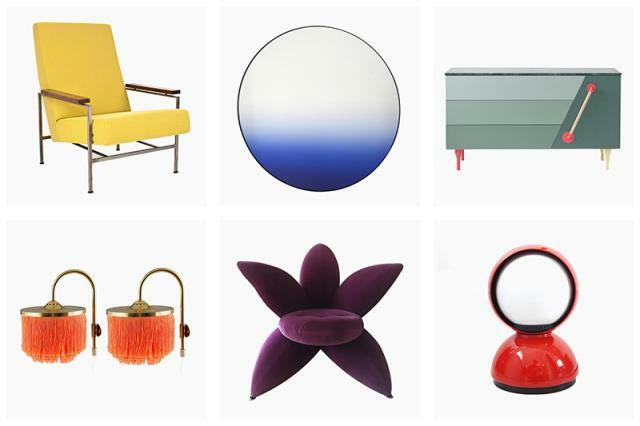 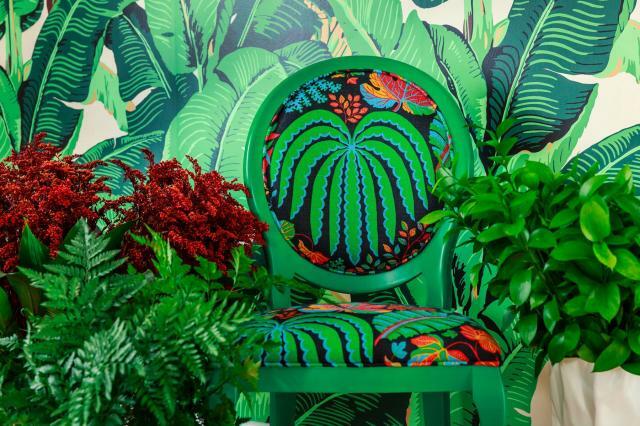 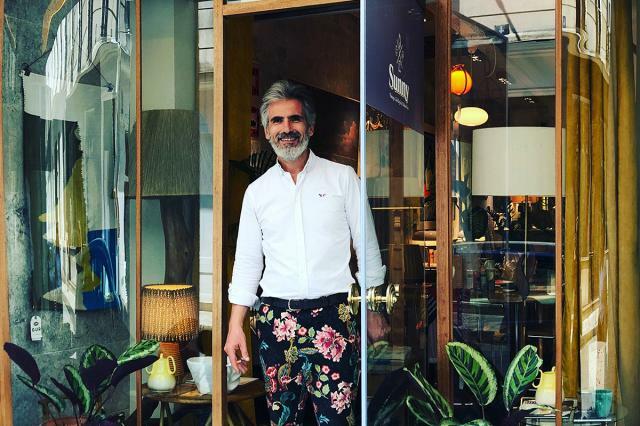 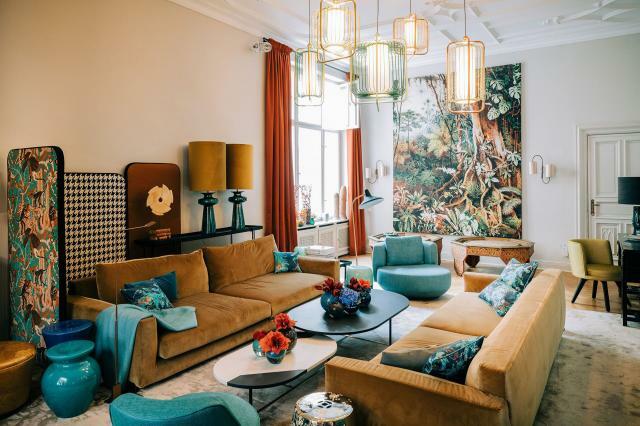 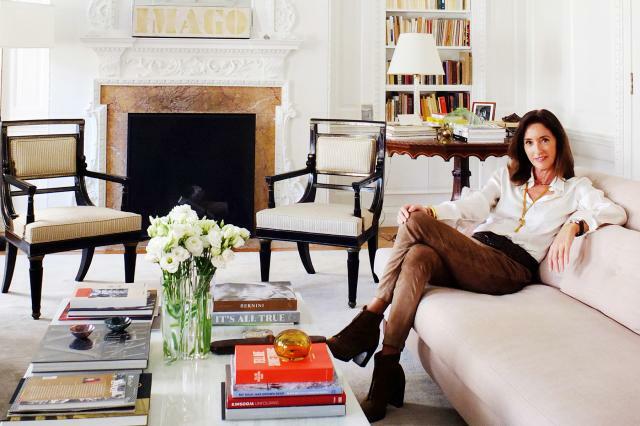 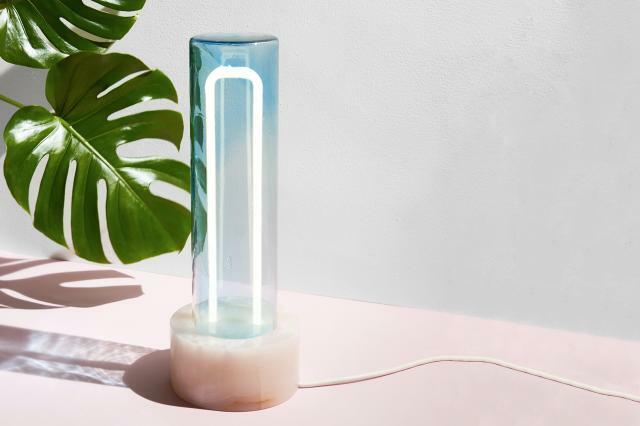 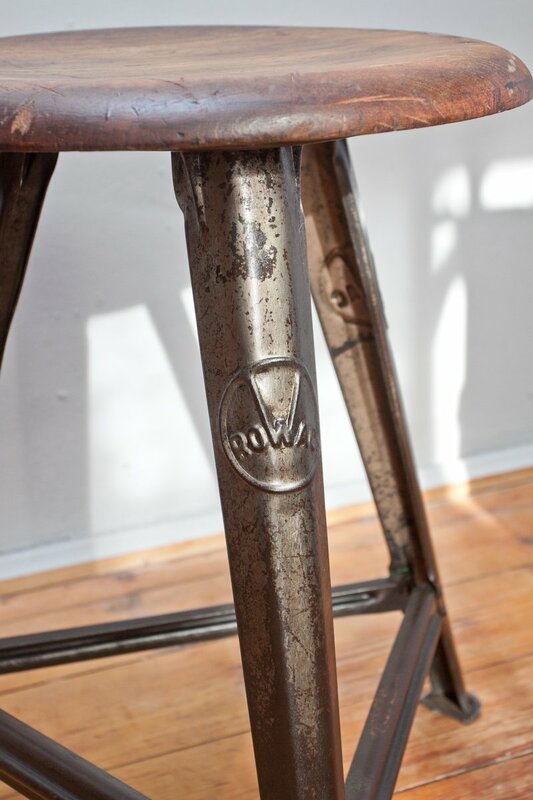 The creators of Rowac designs were not recorded, but pieces were branded with the company logo, preserving the name for 21st-century vintage buyers to rediscover. 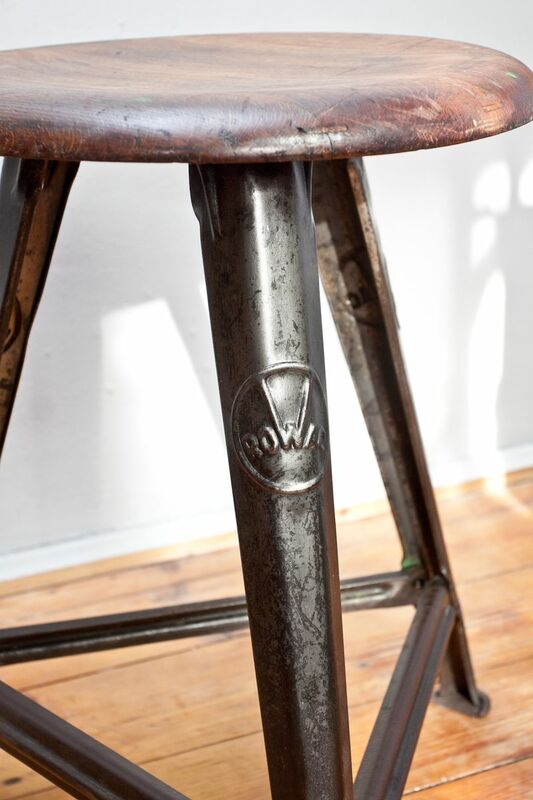 Founded in 1888 by Robert Wagner as an ironworks, “ROWAC” is an acronym of the first letters of the founder’s first and second name, along with the first letter of the city, Chemnitz in Saxony. 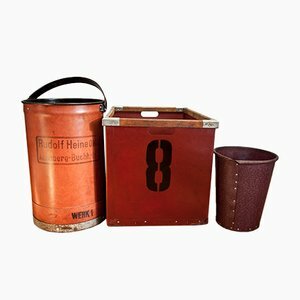 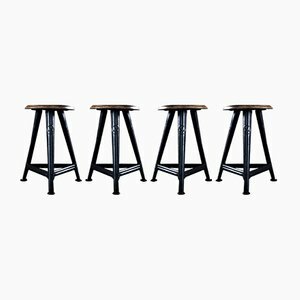 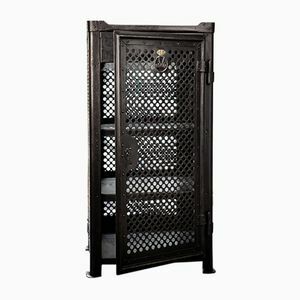 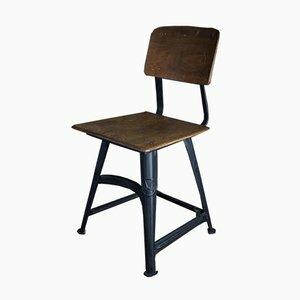 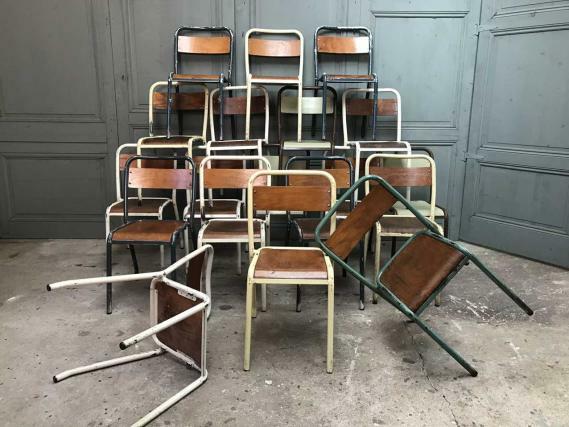 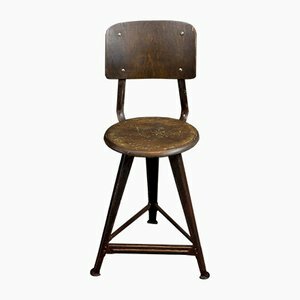 Although Rowac produced a wide range of industrial furniture, including chairs , tables , tool boxes, and cabinets , the company was best known for their industrial stools , which have become vintage classics. 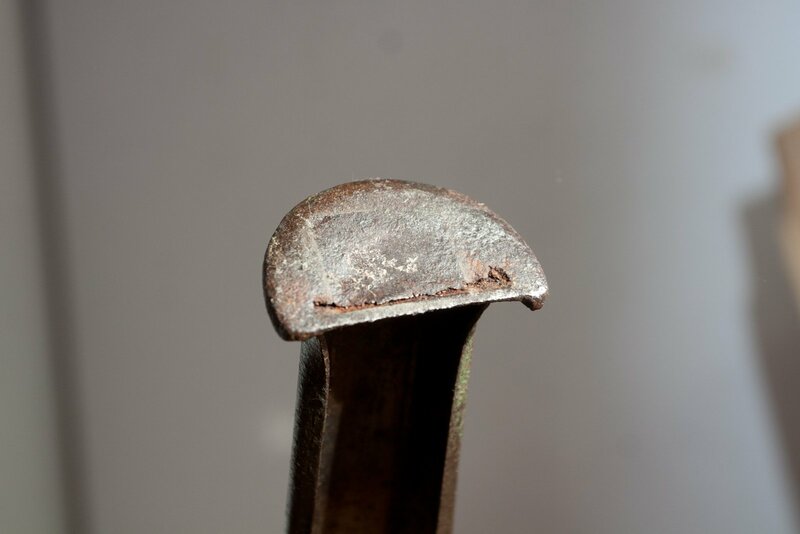 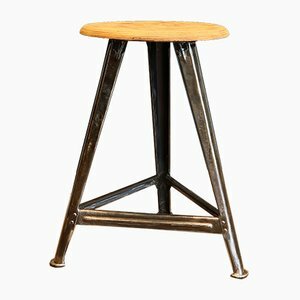 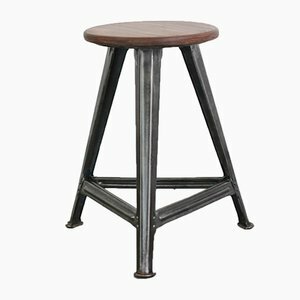 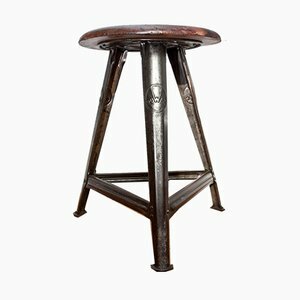 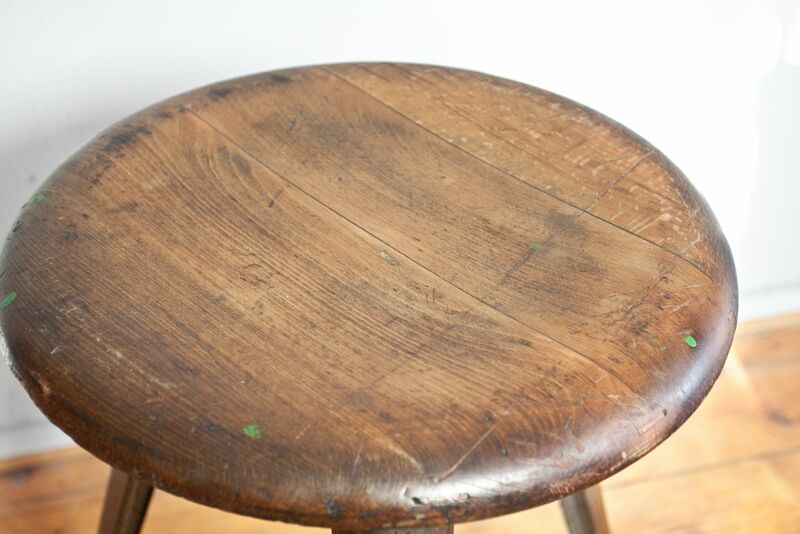 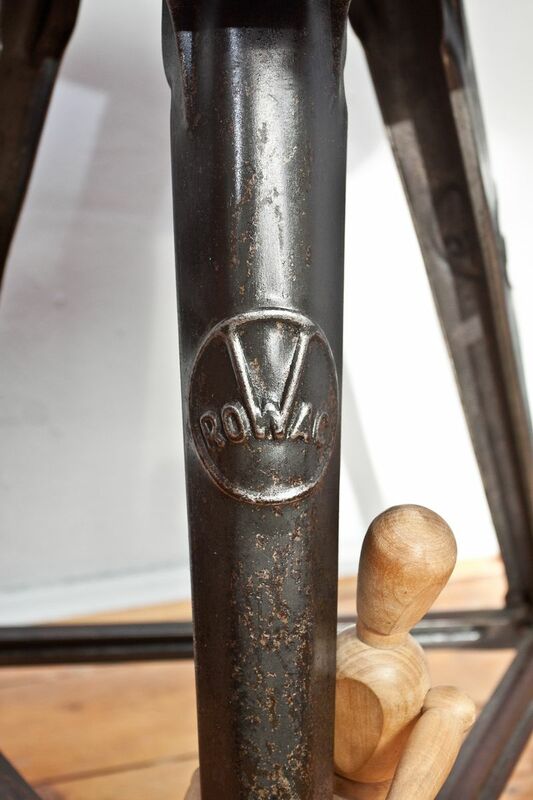 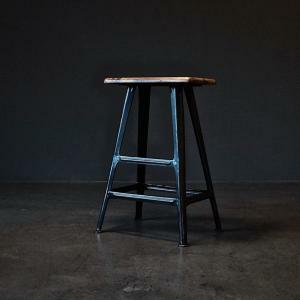 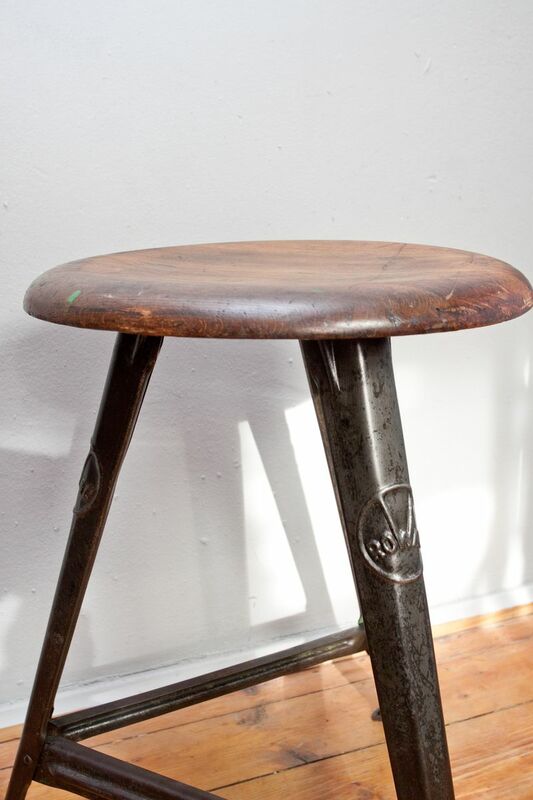 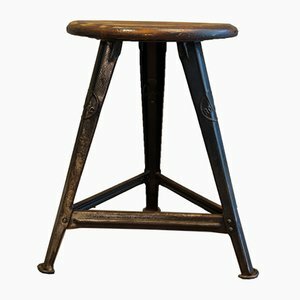 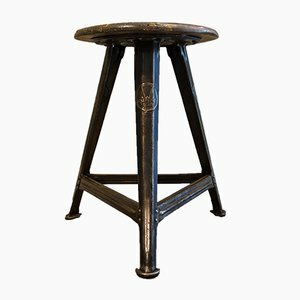 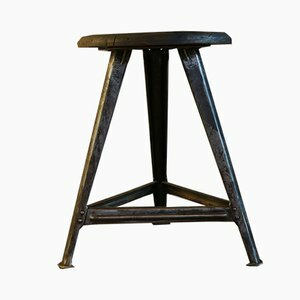 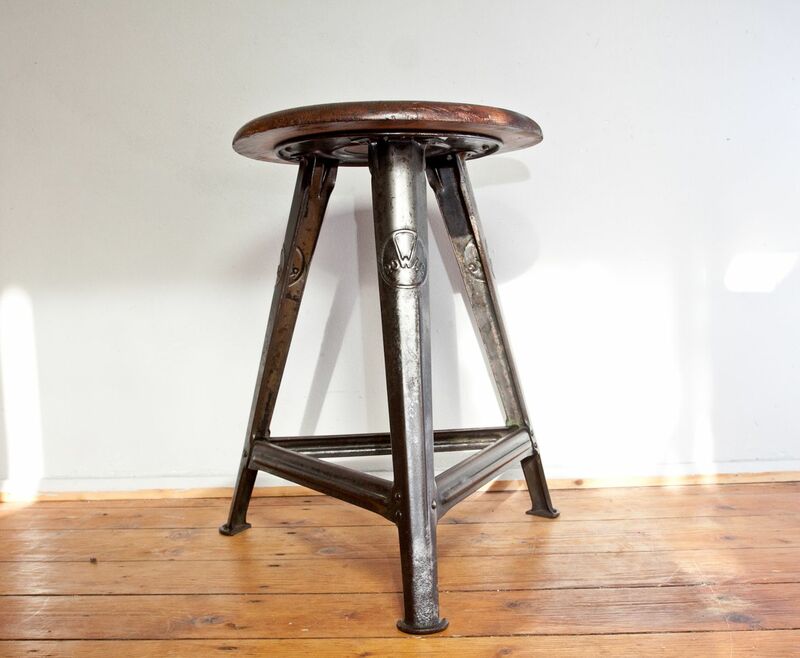 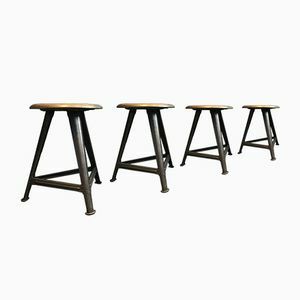 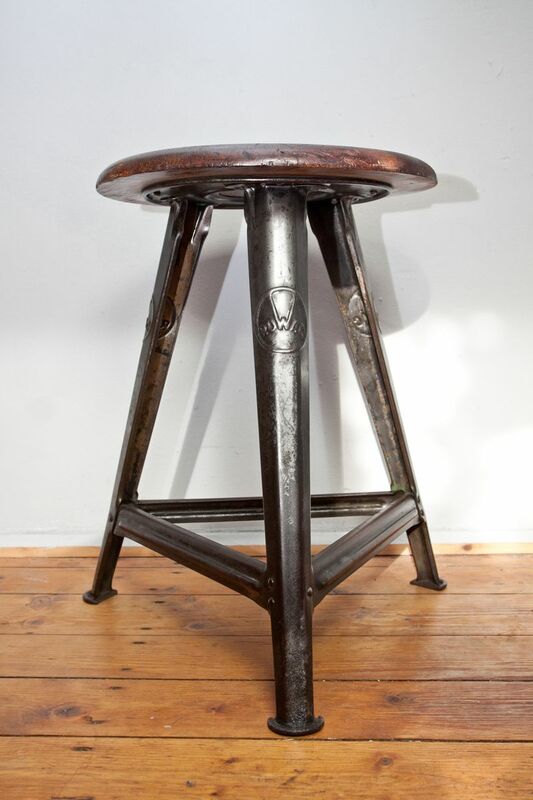 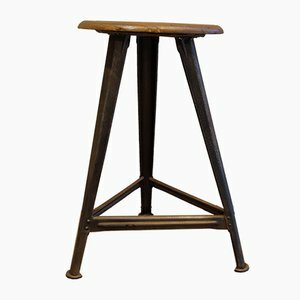 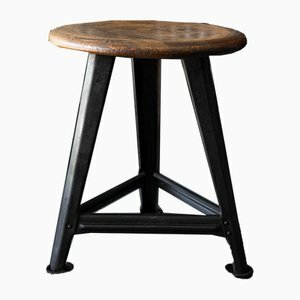 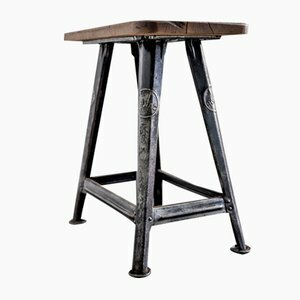 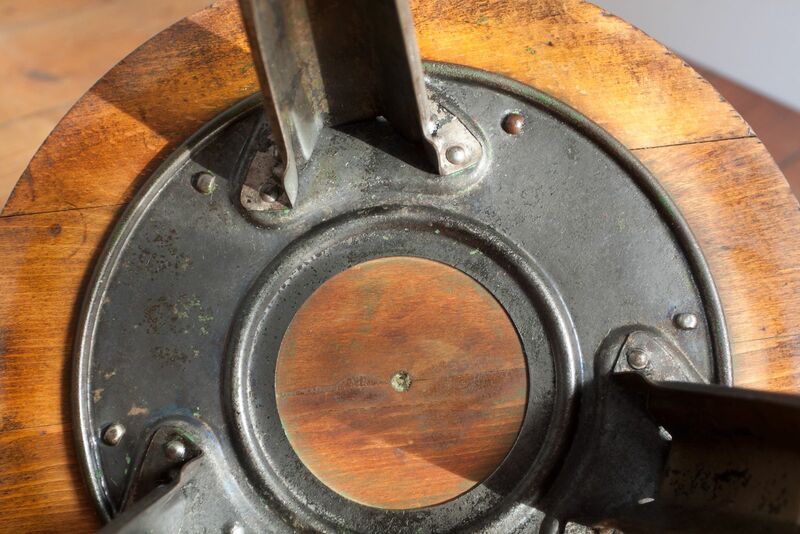 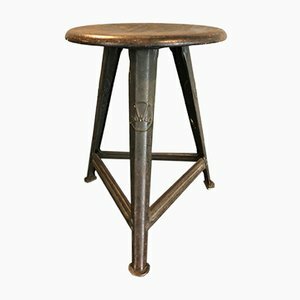 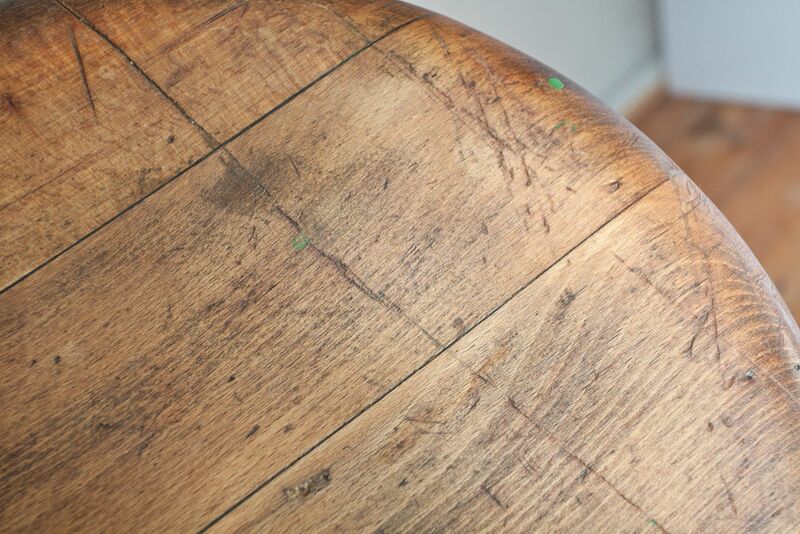 The first Rowac stool was issued in 1905, with three iron legs and a round wooden seat. 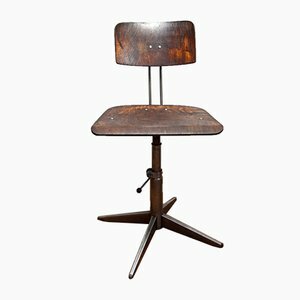 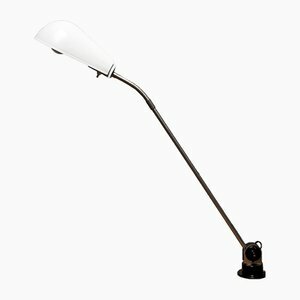 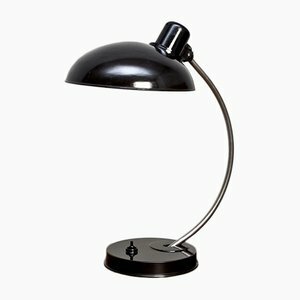 Many variations were launched in the following years, some with three or four legs, the last redesign occurring in the 1920s, though it continued to be produced for many years after. 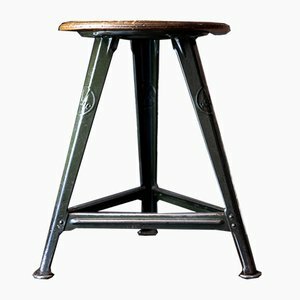 Rowac patented many of its product designs, including a stool whose legs could be dismantled and reassembled quickly for shipping. 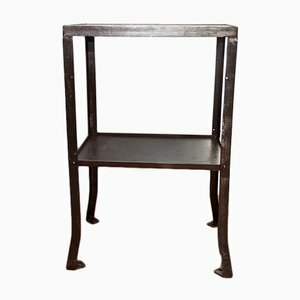 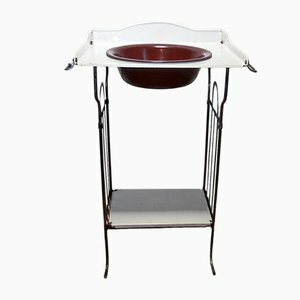 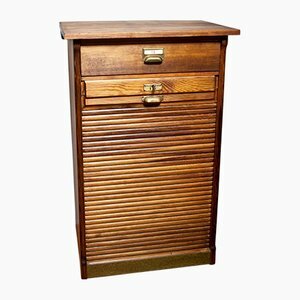 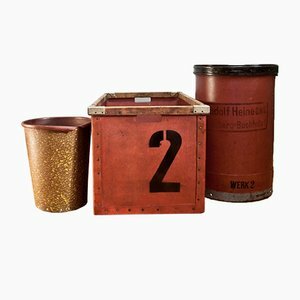 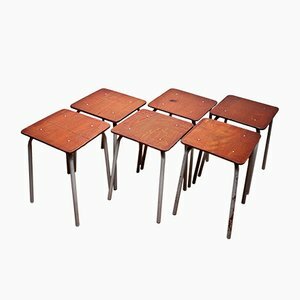 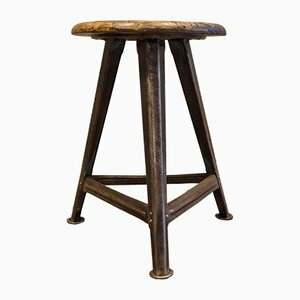 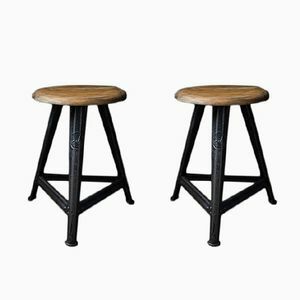 Most vintage Rowac stools on the market today however, are earlier designs that cannot be easily dismantled. 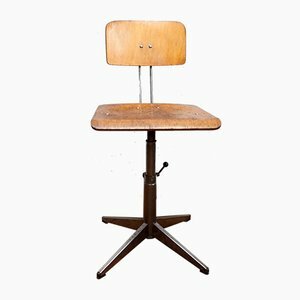 Many factories and workshops around Germany were equipped with Rowac stools, including the German Trade Union Confederation in 1923, and the classrooms of Walter Gropius’ Bauhaus in Dessau. 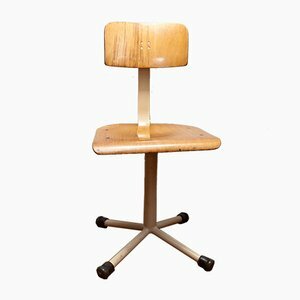 After the Second World War, the factory was nationalized by the government of East Germany and became VEB Bemefa. 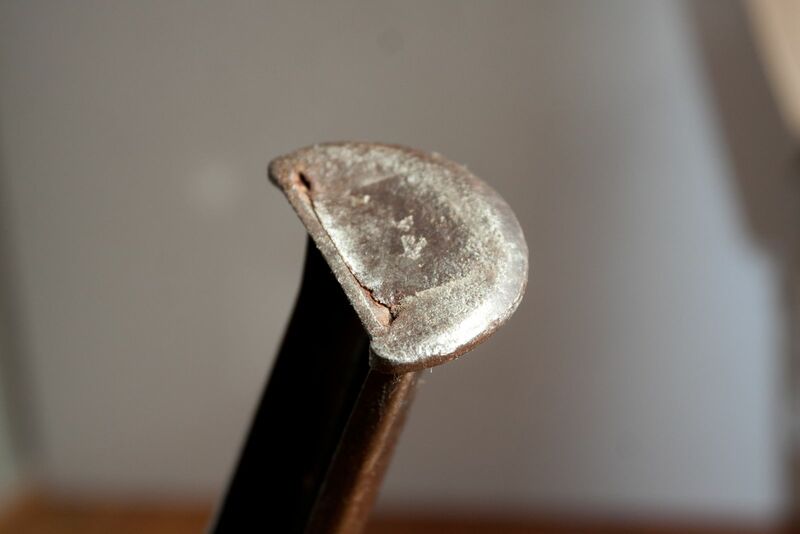 In 1990, the company was re-privatized as Bemefa Metallmöbel GmbH. 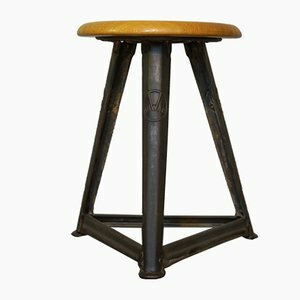 Today, the company is known as bemefa-simco. 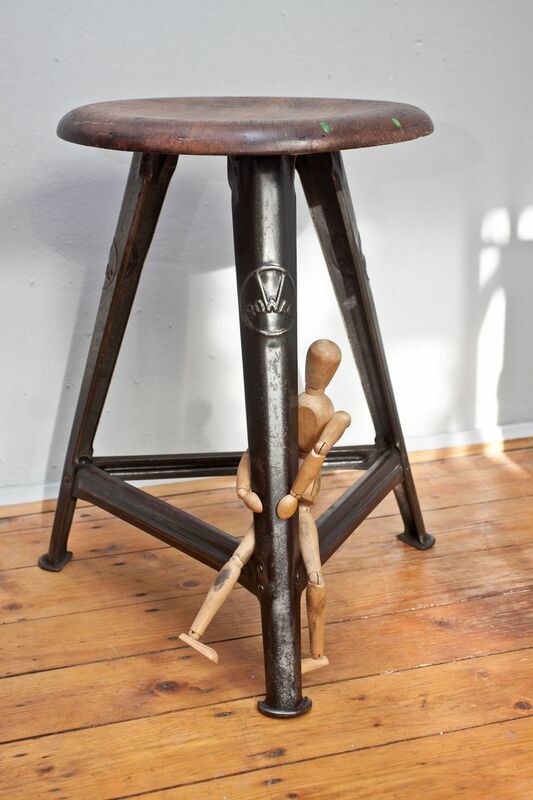 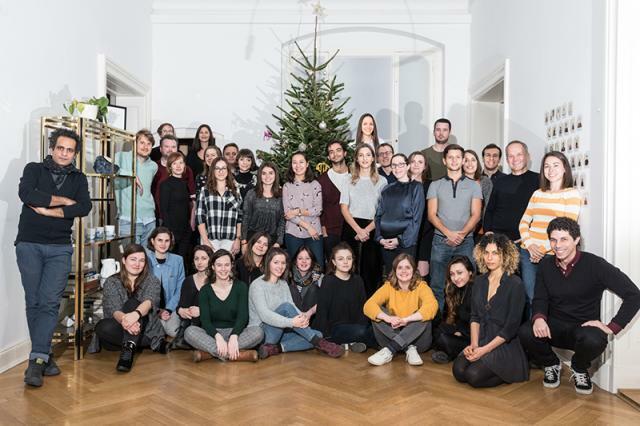 The Rowac Stool is exhibited in the Museum of Applied Arts in Vienna and the Institute of Art History at the Technical University of Delft in the Netherlands.